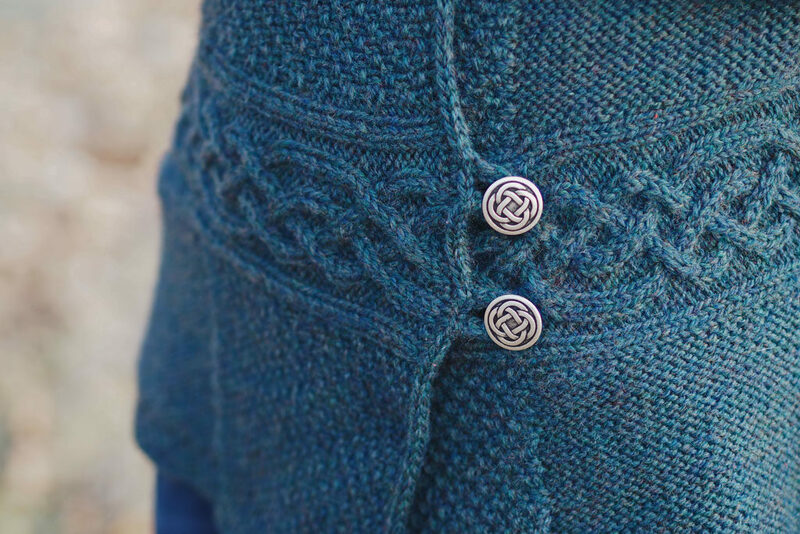 I really love the idea of I-Cord toggles when buttonholes simply won’t work with a design. They allow for larger, more decorative buttons as well as a bit of ease in the fit of a garment. 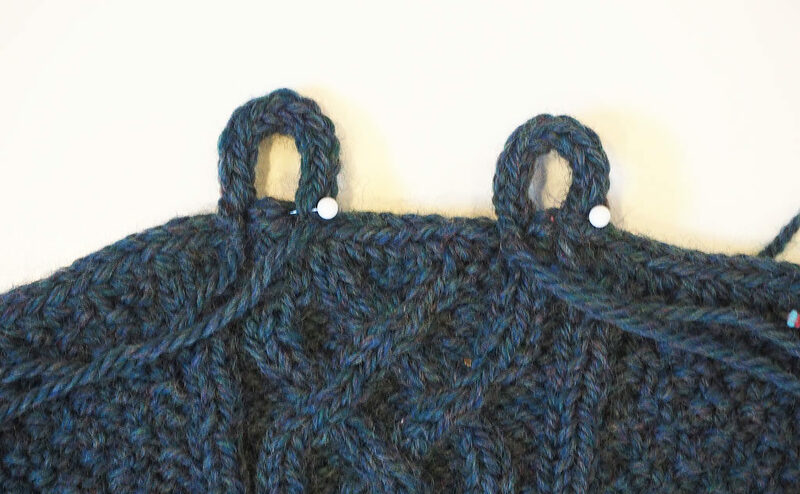 In this final post on the Glenfinnan cardigan, I’ll do a quick little tutorial on creating the I-Cord toggles and sewing them into place on the sweater. I-Cord is a very simple way of creating a knitted tube by working a “row” and then sliding the stitches from one end to the other of a circular needle in order to start the next “row.” These rows are actually rounds, and you are working a very small amount of stitches in the round, without any need for double pointed needles or difficult techniques. 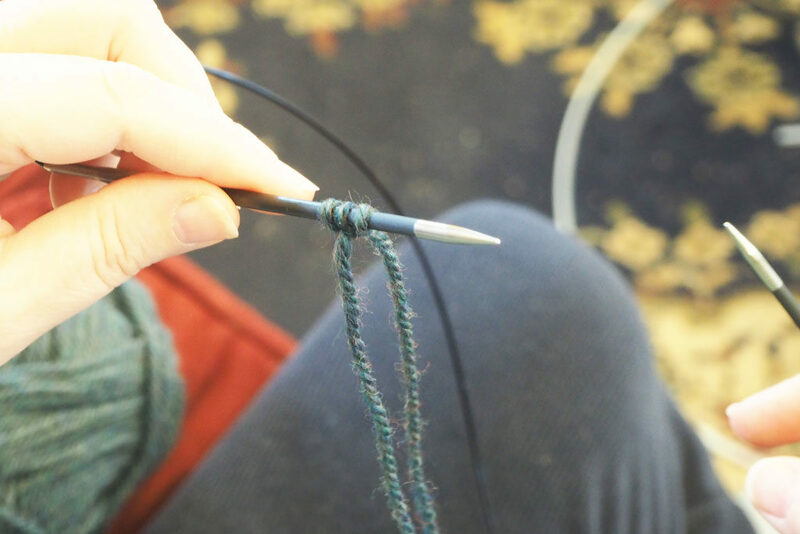 First thing first: cast on three stitches using your favorite cast-on method (mine is long-tail cast on) and a circular set of needles that isn’t super long. 16″ needles work really well. You are now ready to work these three stitches in stockinette stitch. 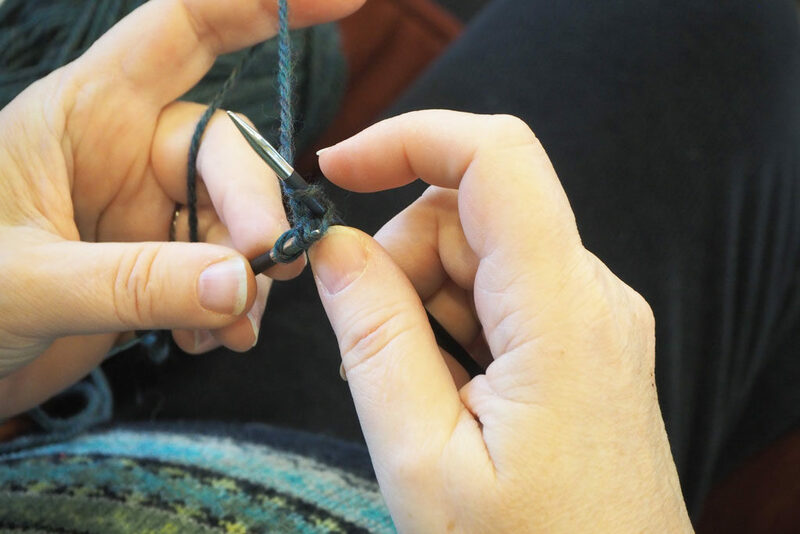 When you knit the first stitch, be sure to pull it extra tight. This will help to create a nice, neat tube, without one of the stitches being loose and floppy. Work all three stitches, and then slide them back to the left hand needle to be worked again. 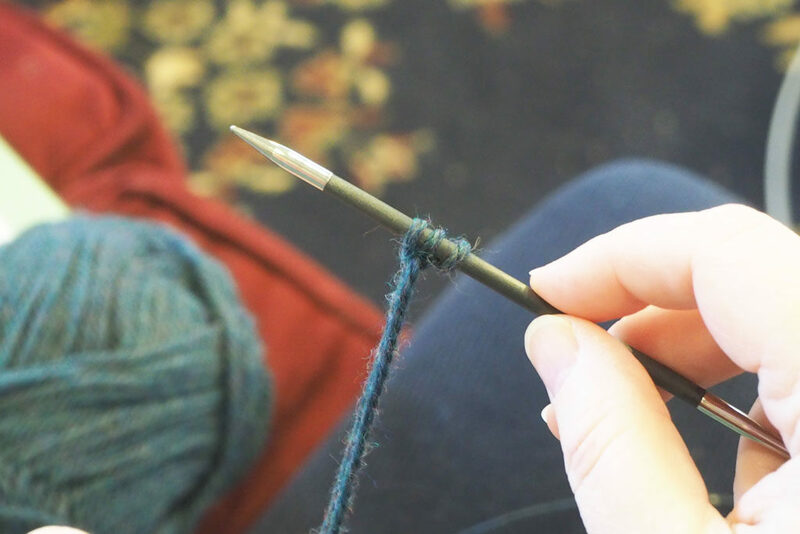 Once you’ve worked several rows, you should be able to see your little knitted tube forming. 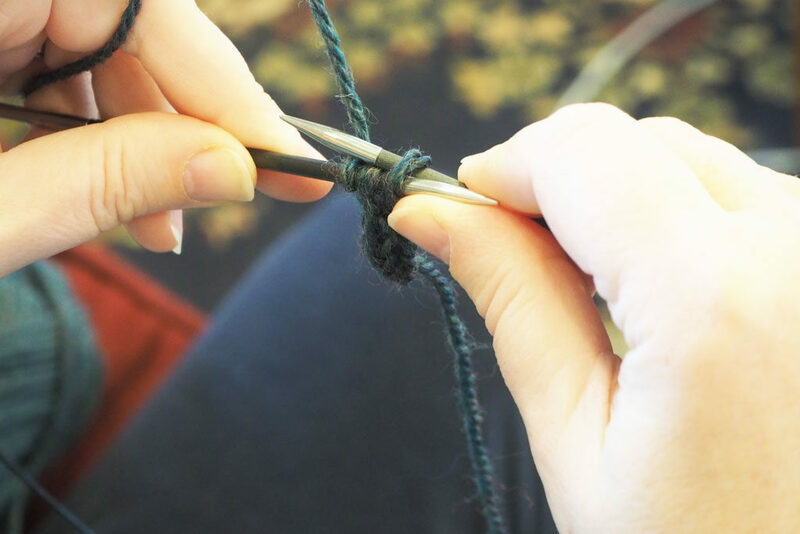 Be sure to pull that first knitted stitch nice and tight to keep the stitches even. When you have worked an I-Cord tube to the correct measurement, K2tog and BO the last 2 stitches on the final row. Pull the yarn through and break, leaving a fairly long tail for sewing. Make two alike, and you’ve got your little toggles! The next step is to fold your toggles in half and place them, evenly spaced, along the right side edge of your belt band. I place them just inside the outer two knit stitches of the band. Pin them in place with straight pins, and sew them firmly in place. Great! 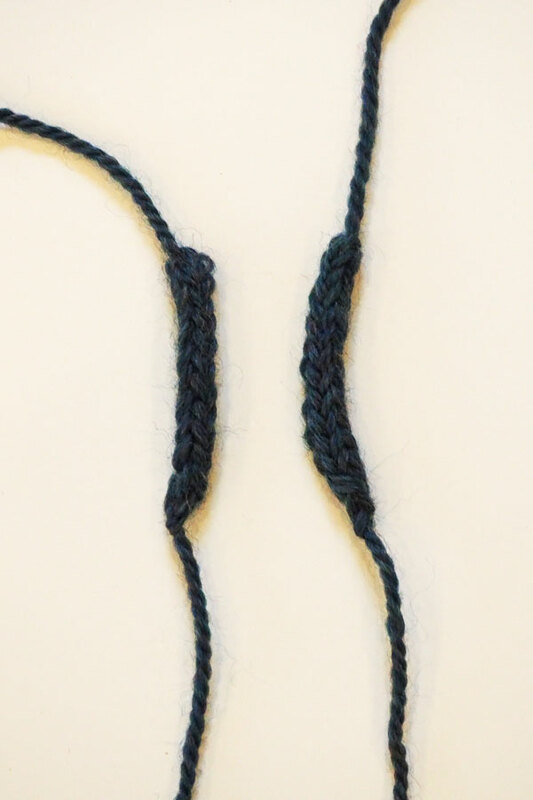 A simple alternative to buttonholes, and the perfect complement to the I-Cord edging in this design. Sew those buttons in place on the left belt band, and your sweater is ready to wear!